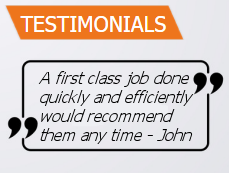 'A Class Fascias' is a family business working mostly on recommendations. We undertake all roofing work from small leaks and replacing broken tiles to installing new roofs. We fit new facias, soffits, gutters and all ridge tile work such as re-pointing, dry ridge and also dry verge. We also install and repair flat roofs using our Fibre Flat GRP system for a long lasting solution to flat roof leakage. Based in Derby we serve the Midlands area including: Wolverhampton, Stafford, Stoke-on-Trent, Nottingham & Birmingham. All work guaranteed for 15 years & 35 year guarantee on flat roofs. Call us now for a free quotation or further details.